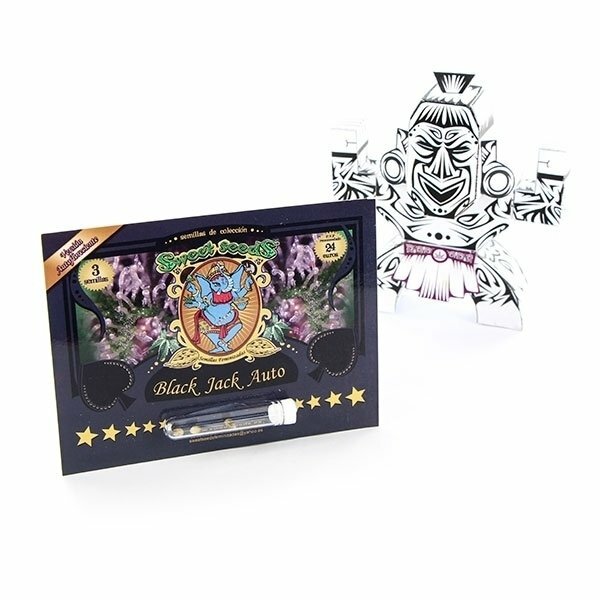 Black Jack Auto is another great offering from Sweet Seeds - an automatic version of the popular Black Jack, itself a cross between the Sweet Afghan Delicious (SAD) and Jack Herer. A roughly equal share of Indica and Sativa genetics makes it a well balanced smoke that would suit every marijuana connoisseur. Combining years of experience in cannabis breeding with the absolutely best genetics in the world, Sweet Seeds managed to bring the established names such as Sweet Afghan Delicious and the amazing Jack Herer into the world of autoflowering, feminized strains. Expect a pleasant taste and complex aroma, as well as a well rounded smoke, with a mix of energetic high and relaxing stone. 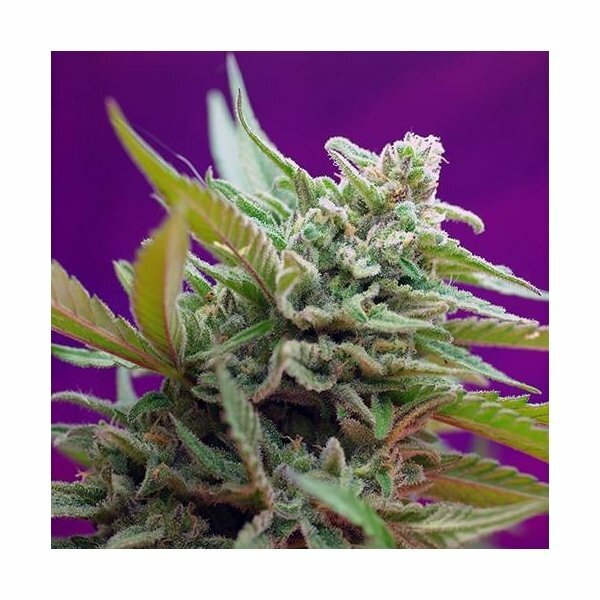 Black Jack Auto feminized from Sweet Seeds is a rather compact plant, averaging 40 to 90 cm height, yet yielding a decent half kilo per square meter indoors and as much as an unbelievable 250 g per plant outdoors. 9 to 10 weeks from seed to harvest would be more than enough for this great autoflowering to offer you its top quality marijuana. citrus smell and stoned effect. Small plants with big buds, 2 months it took. But I left it a bit longer.